Sporadic responses like the letter above, academic books by Dr. Daftary and the late Dr Peter Willey and many others as well as scholarly articles in journals do not appear to have made any impact in demystifying and debunking the myth of the assassins. Furthermore, the non-availability and non-distribution of important historical and theological works on Ismailis, in giant brick and mortar stores like Chapters and Indigo in Canada haven’t helped the cause either. There are a number of enjoyable, accessible and easy to comprehend books, produced by the Institute of Ismaili Studies and other academic and non-academic publishers, that should be on bookstore shelves alongside numerous Sunni, Shia and general works on Islam and other religions to counter misperceptions and negative stereotyping about the Ismailis as well as to impart an understanding of the community’s religious doctrines from Ismaili sources. Now, in response to the idea that ISIS or IS (Islamic State) is based on the Assassins, Dr. Farhad Daftary has contributed the following piece for the February 21, 2016, (USA) edition of The Conversation, which has a mission to provide readers with a reliable source of high quality, evidence based information. (How do we account for forces and events that paved the way for the emergence of Islamic State? Our series on the jihadist group’s origins tries to address this question by looking at the interplay of historical and social forces that led to its advent. Today, historian Farhad Daftary debunks the idea that Islamic State is based on the so-called Assassins or hashishin, the fighting corps of the fledgling medieval Nizari Ismaili state). Many Western commentators have tried to trace the ideological roots of Islamic State (IS) to earlier Islamic movements. Occasionally, they’ve associated them with the medieval Ismailis, a Shiʿite Muslim community made famous in Europe by returning Crusaders as the Assassins. But any serious inquiry shows the teachings and practices of medieval Ismailis, who had a state of their own in parts of Iran from 1090 to 1256, had nothing in common with the senseless terrorist ideology and ruthless destruction of IS and its supporters. Attacks on civilians, including women and children, and engaging in the mass destruction of property are forbidden both by Prophet Muhammad and in the tenets of Islamic law. Needless to say, the Ismailis never descended to such terrorist activities, even under highly adversarial circumstances. Significant discordance exists between the medieval Ismailis and contemporary terrorists, who – quite inappropriately – identify themselves as members of an Islamic polity. The Ismailis, or more specifically the Nizari Ismailis, founded a precarious state in 1090 under the leadership of Hasan-i Sabbah. As a minority Shi’ite Muslim community, they faced hostility from the Sunni-Abbasid establishment (the third caliphate after the death of the Prophet Muhammed) and their political overlords, the Seljuq Turks, from very early on. Struggling to survive in their network of defensive mountain fortresses remained the primary objective of the Ismaili leadership, centred on the castle of Alamut (in the north of modern-day Iran). Their state survived against all odds until it was destroyed by the all-conquering Mongols in 1256. During the course of the 12th century, the Ismailis were incessantly attacked by the armies of the Sunni Seljuq sultans, who were intensely anti-Shiʿite. As they couldn’t match their enemies’ superior military power, the Ismailis resorted to the warfare tactic of selectively removing Seljuq military commanders and other prominent adversaries who posed serious existential threats to them in particular localities. 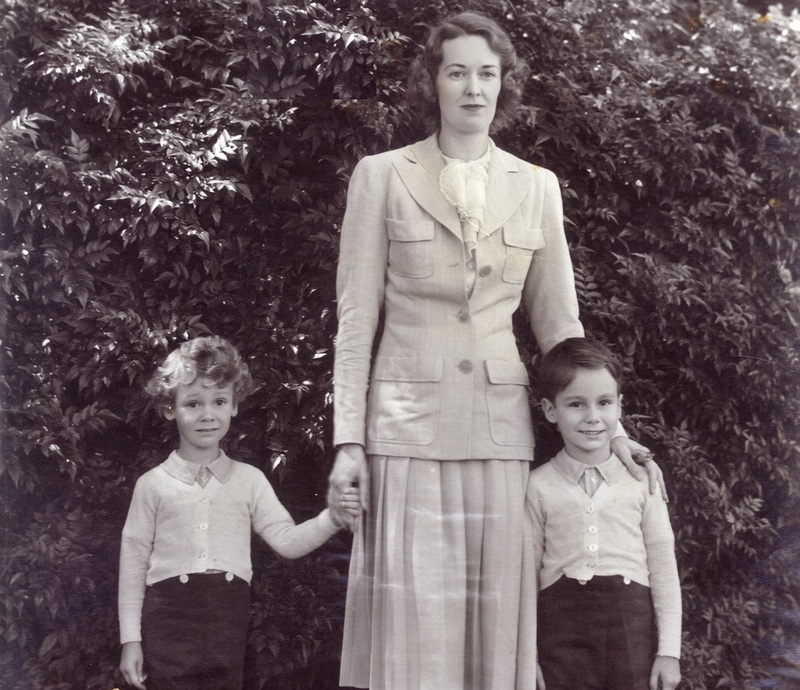 These daring missions were carried out by the Ismaili fidaʾis, who were deeply devoted to their community. The fidaʾis comprised the fighting corps of the Ismaili state. But the Ismailis didn’t invent the policy of assassinating enemies. It was a practice employed by many Muslim groups at the time, as well as by the Crusaders and many others throughout history. Unfortunately, almost all assassinations of any significance occurring in the central lands of Islam became automatically attributed to the Ismaili fidaʾis. And a series of fanciful tales were fabricated around their recruitment and training. These tales, rooted in the “imaginative ignorance” of the Crusaders, were concocted and put into circulation by them and their occidental observers; they’re not found in contemporary Muslim sources. 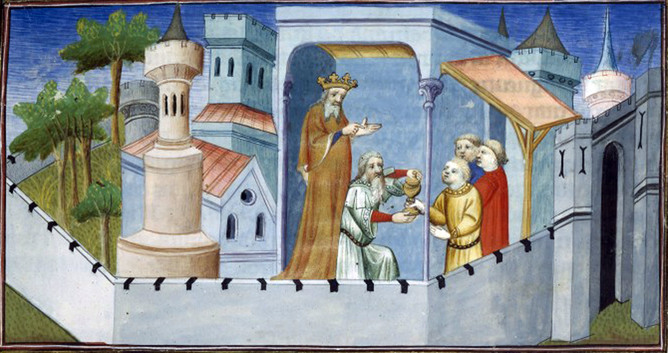 The so-called Assassin legends, which culminated in Marco Polo’s synthesis, were meant to provide satisfactory explanations for the fearless behaviour of the fidaʾis, which seemed otherwise irrational to medieval Europeans. 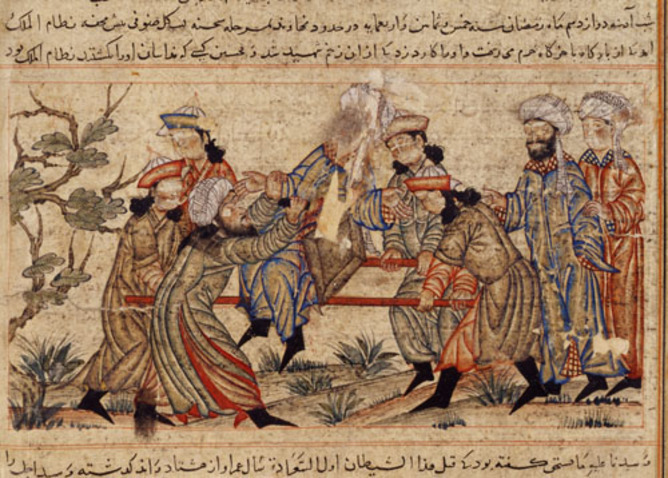 The very term Assassin, which appears in medieval European literature in a variety of forms, such as Assassini, was based on variants of the Arabic word hashish (plural, hashishin) and applied to the Nizari Ismailis of Syria and Iran by other Muslims. In all the Muslim sources where the Ismailis are referred to as hashishis, the term is used in its pejorative sense of “people of lax morality”. There’s no suggestion that they were actually using hashish. There’s no evidence that hashish, or any other drug, was administered to the fida’is, as alleged by Marco Polo. The literal interpretation of the term for the Ismailis as an “order of crazed hashish-using Assassins” is rooted entirely in the fantasies of medieval Europeans. 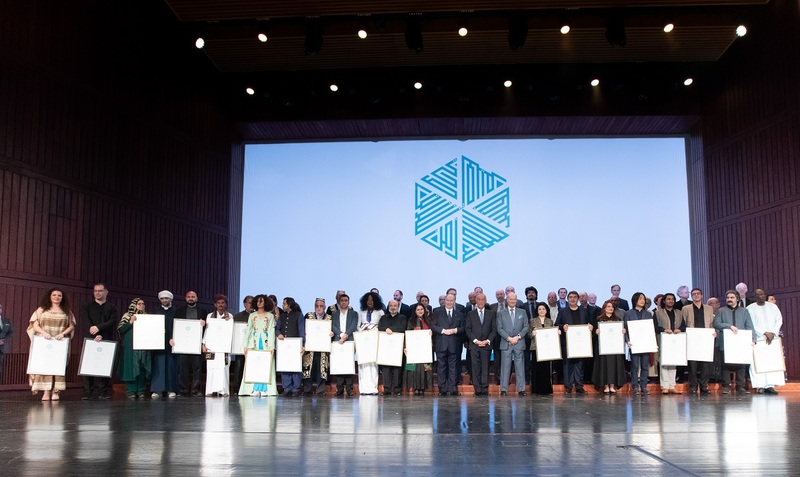 Modern scholarship in Ismaili studies, based on the recovery and study of numerous Ismaili textual sources, has now begun to dispel many misconceptions regarding the Ismailis, including the myths surrounding their cadre of fidaʾis. And the medieval Assassin legends, arising from the hostility of the Sunni Muslims to the Shiʿite Ismailis as well as the medieval Europeans’ fanciful impressions of the Orient, have been recounted and deconstructed. Living in adverse circumstances, the Ismailis of Iran and Syria were heirs to the Fatimid dynasty that founded the city of Cairo and established al-Azhar, perhaps the earliest university of the world. Although preoccupied with survival, the Ismailis of the Alamut period maintained a sophisticated outlook and a literary tradition, elaborating their teachings within a Shiʿite theological framework. Their leader, Hasan-i Sabbah, was a learned theologian. And the Ismaili fortresses of the period, displaying magnificent military architecture and irrigation skills, were equipped with libraries holding significant collections of manuscripts, documents and scientific instruments. The Ismailis also extended their patronage of learning to outside scholars, including Sunnis, and even non-Muslims. They were very tolerant towards other religious communities. In the last decades of their state, in the 13th century, even waves of Sunni Muslims found refuge in the Ismaili fortress communities of eastern Iran. These refugees were running from the Mongol hordes who were then establishing their hegemony over Central Asia. All this stands in sharp contrast to the destructive policies of IS, which persecutes religious and ethnic minorities and enslaves women. The medieval Ismailis embodied qualities of piety, learning and community life in line with established Islamic teachings. 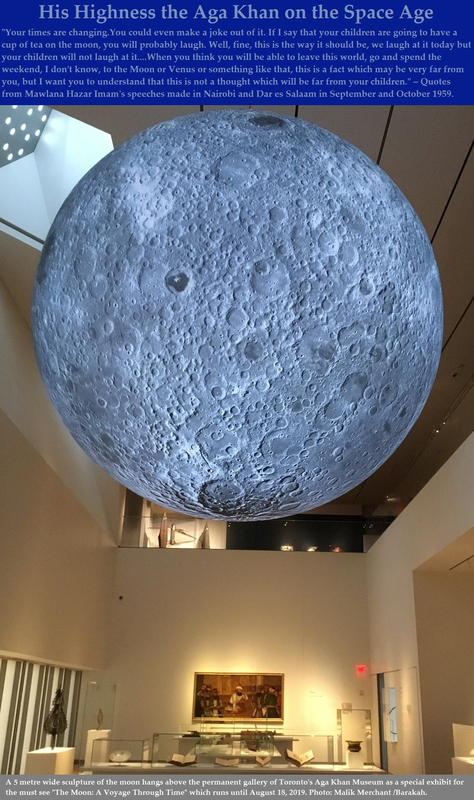 These traditions continue in the modern-day Ismaili ethos. And the present-day global Ismaili community represents one of the most progressive and enlightened communities of the Muslim world. The Ismailis have never had anything in common with the terrorists of IS, who murder innocent civilians at random and en masse, and destroy monuments of humankind’s shared cultural heritage. Global terrorism in any form under the banner of Islam is a new phenomenon without historical antecedents in either classical Islamic or any other tradition. IS’s ideology reflects a crude version of the intolerant Wahhabi theology expounded by the Sunni religious establishment of Saudi Arabia, which is itself a narrow perspective that fails to recognise any pluralism or diversity of interpretations in Islam. Date posted on Simerg: Monday, February 29, 2016. Last updated: March 1, 2016 (12:50 EST). This is the fifth article in The Conversation website’s series on the historical roots of Islamic State. Look out for more stories on the theme in the coming days on The Conversation website. This article by Dr. Farhad Daftary was originally published on The Conversation. Read the original article. Simerg welcomes your feedback. Please click Leave a comment. His Highness Aga Khan signing his book “Where Hope Takes Root” for the Premier of British Columbia during his 2008 visit to the province to celebrate his Golden Jubilee. Ismailis will be celebrating his 57th Imamat Day on July 11, 2014. Please click on image for Imamat article. Photo: With permission of The Vancouver Sun. Copyright. An early portrait of Mawlana Hazar Imam, His Highness Prince Karim Aga Khan, with a framed photo of his grandfather, the 48th Ismaili Imam, Mawlana Sultan Mahomed Shah (1877-1957) in the background. Photo by Philippe Le Tellier/Paris Match via Getty Images. Copyright. His Highness the Aga Khan is the direct descendant of the Prophet Muhammad (s.a.s) and also the current 49th Imam of a religious office, the Imamat, that he has inherited and which has its origins in the earliest history of Islam. He will be addressing both the Houses of the Canadian Parliament on Thursday, February 27, 2014 at the invitation of the Prime Minister, Stephen Harper. As a precursor to this week’s historical event, the aim of this piece is to introduce readers to the Imamat and to highlight its vision and precious work under the leadership of His Highness. This is done with the assistance of short excerpts from articles as well as speeches and interviews given by the Ismaili Imam. The last in the line of the Abrahamic family of revealed traditions, Islam emerged in the early decades of the seventh century. Its message, addressed in perpetuity, calls upon people to seek in their daily life, in the very diversity of humankind, signs that point to the Creator and Sustainer of all creation. Revealed to Prophet Muhammad in Arabia, Islam’s influence spread rapidly, bringing into its fold, within just over a century of its birth, the inhabitants of the lands stretching from the central regions of Asia to the Iberian Peninsula in Europe. During his lifetime, Prophet Muhammad was both the recipient and the expounder of Divine revelation. His death marked the conclusion of the line of prophecy, and the beginning of the critical debate on the question of the rightful leadership to continue his mission for the future generations. In essence, the position of the group that eventually coalesced into the majority, the Sunni branch, which comprises several different juridical schools, was that the Prophet had not nominated a successor, as the revelation contained in the Qur’an was sufficient guidance for the community. The Shi‘at ‘Ali or the ‘party’ of ‘Ali, already in existence during the lifetime of Prophet Muhammad, maintained that while the revelation ceased at his death, the need for spiritual and moral guidance of the community, through an ongoing interpretation of the Islamic message, continued. For them, the legacy of Prophet Muhammad could only be entrusted to a member of his own family, in whom the Prophet had invested his authority through designation. That person was ‘Ali, the Prophet’s cousin, and the husband of his daughter and only surviving child, Fatima. ‘Ali was also the Prophet’s first supporter who devoutly championed the cause of Islam. “Well the ceremony [of enthronement] is a public installation of the Imam. 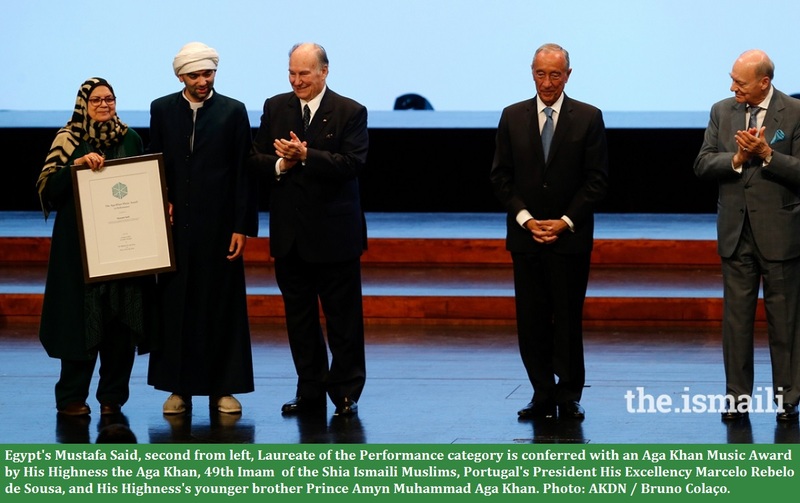 The Ismailis pay homage to the Imam and that is when you are recognised by the world at large as the Imam. I will probably wear the robes that my grandfather wore during his last jubilee and I will receive a sword which is the sword of justice of the Imamat. I will be given these robes and the sword by the leading members of the community and they will present an address at the same time. A more recent portrait of Prince Karim Aga Khan, taken on June 22, 2012 in Chantilly, France. Photo by Philippe Petit/Paris Match via Getty Images. ‘The children of Adam, created of the self-same clay, are members of one body. When one member suffers, all members suffer, likewise. O Thou, who art indifferent to the suffering of the fellow, thou art unworthy to be called a man’. ‘O mankind! Be careful of your duty to your Lord Who created you from one single soul and from it created its mate and from them twain hath spread abroad a multitude of men and women’. “Why would homogenization be such a danger? Because diversity and variety constitute one of the most beautiful gifts of the Creator, and because a deep commitment to our own particularity is part of what it means to be human. Yes, we need to establish connecting bonds across cultures, but each culture must also honour a special sense of self. The downside of globalisation is the threat it can present to cultural identities. Date posted: Sunday, February, 24, 2014. Want to give a feedback? Click on Leave a comment or the comment link at top left of this page, or send an email to simerg@aol.com. 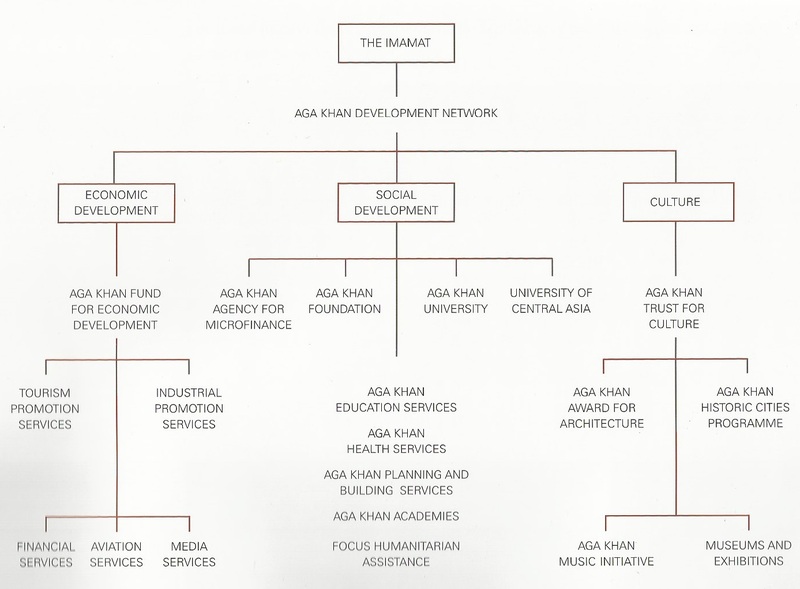 Note that several speeches made by the Aga Khan can also be read by clicking on www.akdn.org. We welcome feedback/letters from our readers on the essay. Please use the Comments LEAVE A REPLY box which appears below. Your feedback may be edited for length and brevity, and is subject to moderation. We are unable to acknowledge unpublished letters. Please visit the Simerg Home page for links to articles posted most recently. For links to articles posted on this Web site since its launch in March 2009, please click Table of Contents. Sign-up for blog subscription at top right of this page.